Fish are cold-blooded animals. Below 10 °C the activity of the fish will decrease considerably and along with it the need of energy. Also the intake of feed will reduce. 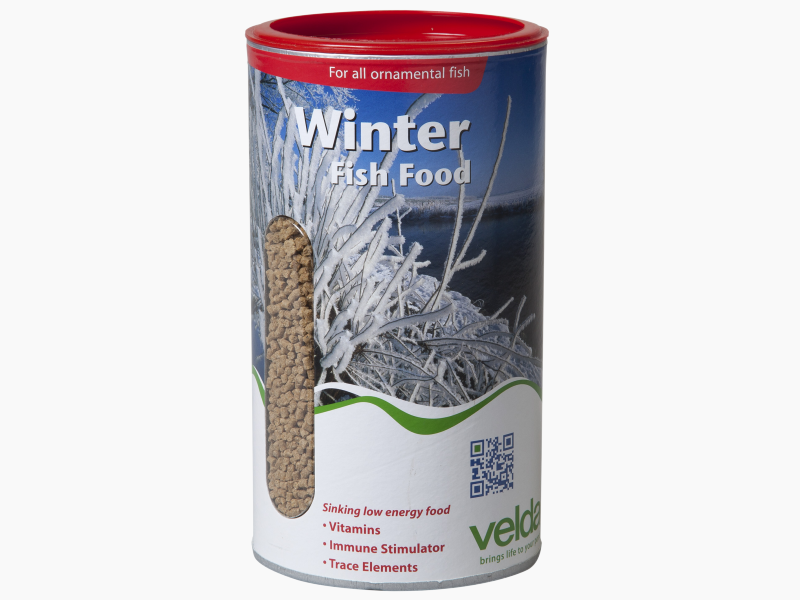 Winter Fish Food of Velda has a reduced energetic value. 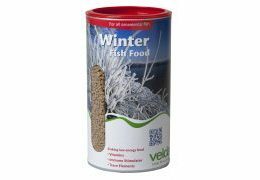 In order to reduce susceptibility of fish to a minimum, an Immune Stimulator (yeast) has been added. 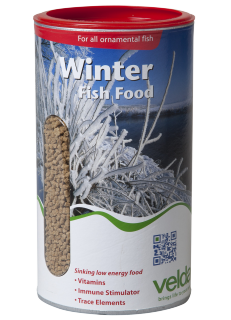 Winter Fish Food is a sinking feed, having a reduced energetic value. This feed can be used at water temperatures ranging between 5 to 10 °C. 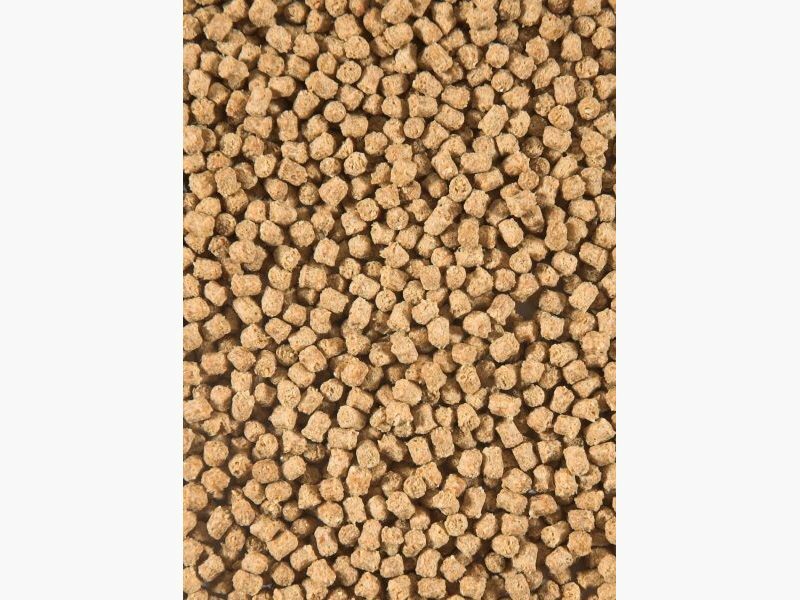 It is suitable for all kinds of ornamental pond fish, like gold fish, gold orfes and cypriniformes. 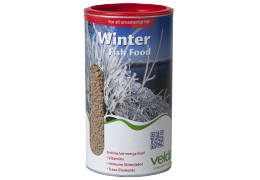 Administer at the most once a day a quantity of fish feed that will be eaten within 5 minutes. Owing to the special composition of the feed the water will not get turbid whereas pond environment and filter will almost not be polluted. 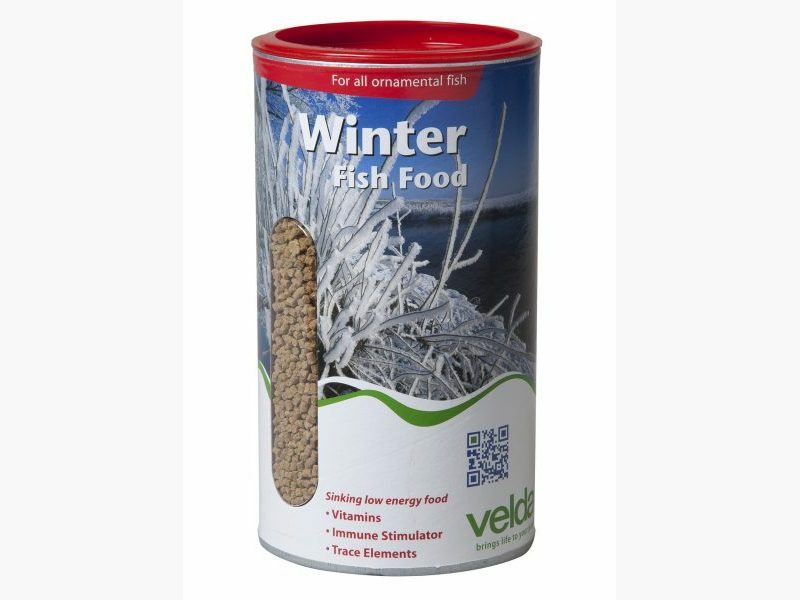 Composition: soya dehulled / extracted / toasted, wheat, wheat middlings, fish meal, maize gluten, fish oil and yeast (0.1%). Special additives: Vitamins, Immune Stimulator (0.1%) and Trace Elements.